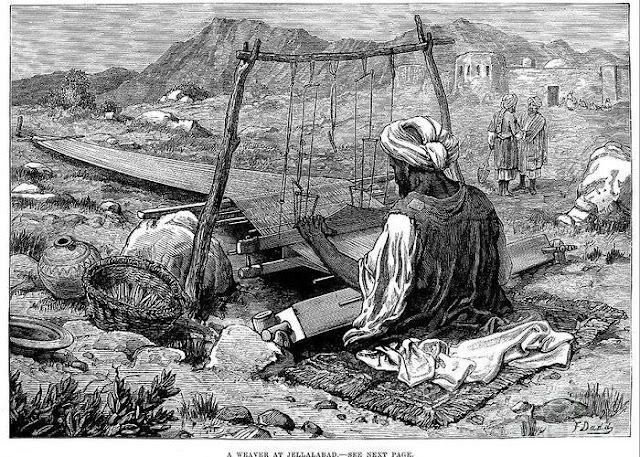 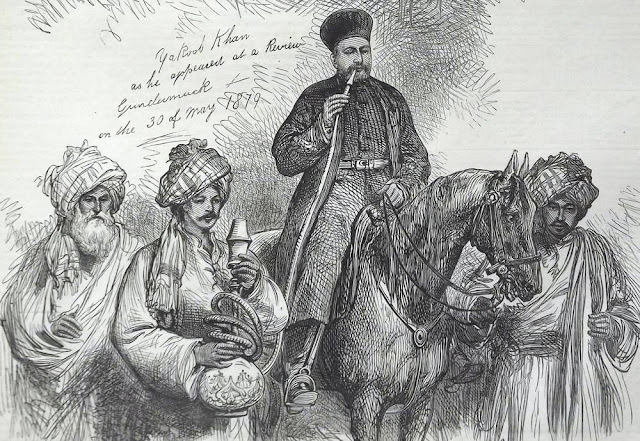 Jalalabad is named after whom? The old name of Jalalabad was Jui Shahi. 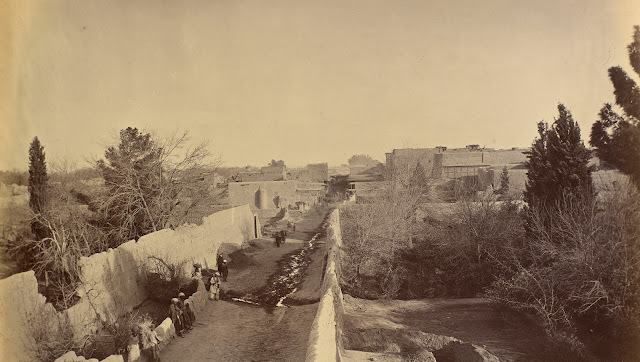 The Jalalabad fort was built by Mun‘im Khan ( a Mughal noble under both emperors Humayun and Akbar) and received its name in compliment to Akbar, (one of whose names was Jalal-ud-din), and who got Jui Shahi as his appanage in succession to his uncle Hindal, whose daughter also he married. 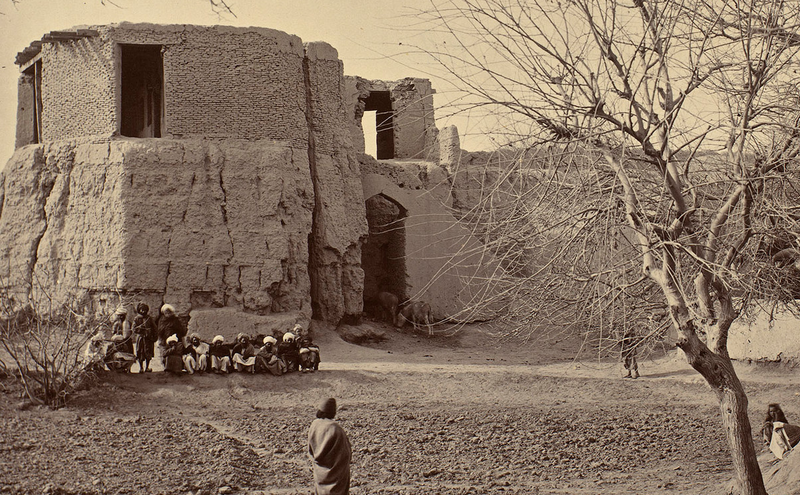 Aha-l-Fazl also states that Adinah-pur was formerly the chief official place of Lamghan, but now Jalalabad is ; and that near Adinah-pur is the Bagh-i-Wafa.
" We made some delay in Adinapur in order to let the men from behind join us, also a contingent from the clans which had come with us into Kabul and were wintering in the Lamghanat. 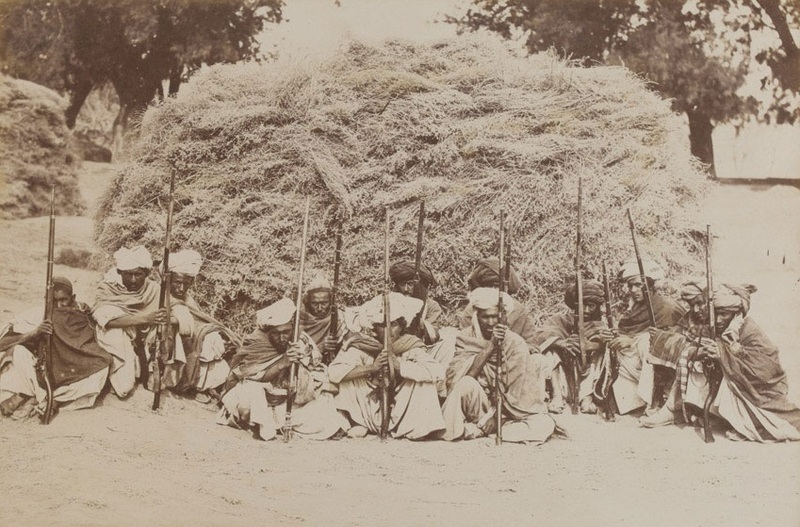 All having joined us, we marched to below Jui-shahi and dismounted at Qush-gumbaz" [The Illustrated Baburnama ,p-151]. 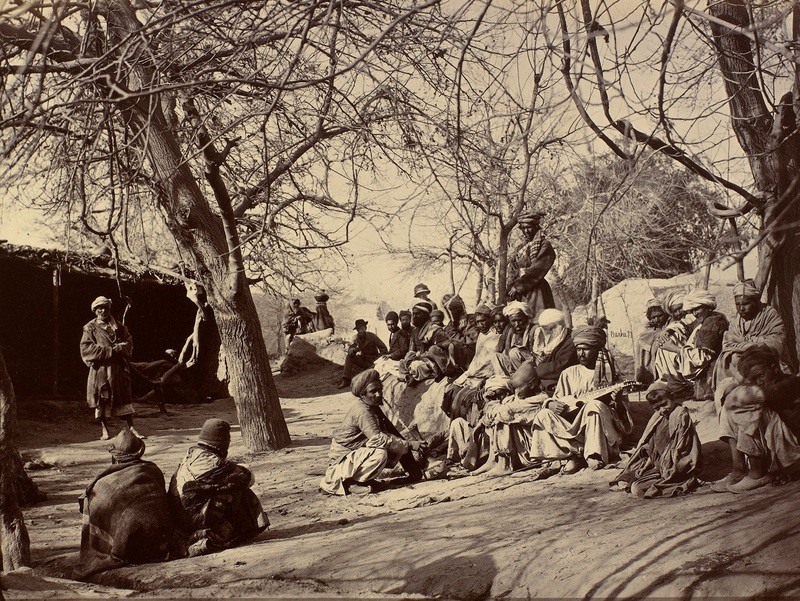 A group of Afghan men, Jalalabad, 1878 (c). 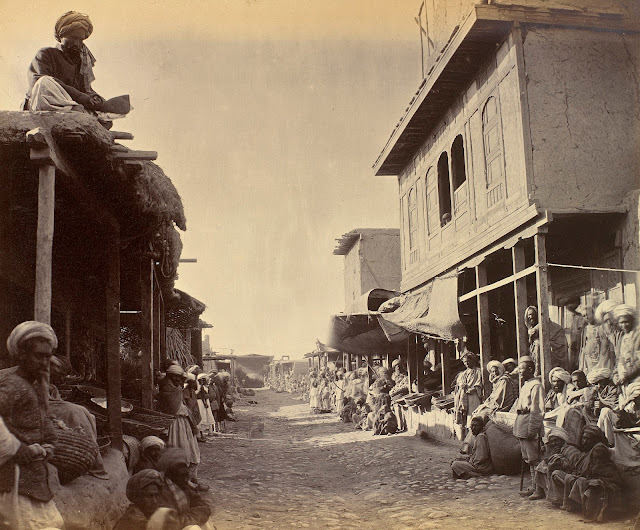 Jalalabad city, 1878-9. Photo by John Burke.